Shabbat and holidays at Ansche Chesed are filled with prayer, learning and other opportunities for members to come together. For adults, there are Friday evening services and both community and home-based Shabbat dinners; Saturday morning services for those familiar with the liturgy, those new to it, for those who enjoy services with clergy and those who prefer lay-led prayer experiences; and the chance to study Torah with Rabbi Kalmanofsky. For families, there are three Shabbat morning services for children of different ages; the Shabbat afternoon gym, a great place for parents to bring young ones while getting to know other Ansche Chesed parents; and regular Friday night dinners for families and for teens. On holidays, we come together for religious services, special events and celebrations, and programs designed especially for kids, families and teens. Be sure to check the weekly e-news and the website calendar for the latest information. Each Friday evening Ansche Chesed comes together as a community to welcome Shabbat with Kabbalat Shabbat in the chapel on the ground floor. Services begin at 5:30 pm during Eastern Standard Time and at 6:30 pm during Daylight Savings Time. Services are often followed by an oneg Shabbat (a friendly gathering with refreshments) or a more formal dinner with a speaker. Ansche Chesed’s rich history comes to life on Shabbat morning when multiple prayer groups, all of them egalitarian, gather to celebrate Shabbat. Rabbi Jeremy Kalmanofsky, Hazzan Natasha Hirschhorn and Ansche Chesed members jointly lead the Sanctuary Service, which meets in the synagogue’s sanctuary starting at 9:45 am. 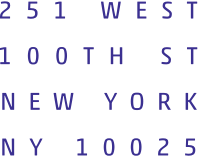 At 10:00 am, Minyan M’at holds its lay-led service on the fifth floor, while on alternate Shabbats, the West Side Minyan and Minyan Rimonim hold lay-led services on the sixth floor. A Learner’s Service meets at 10:00 am on many Shabbats during the fall. While everyone is welcome to pray with Minyan M’at, the West Side Minyan and Minyan Rimonim any time, in order to support their activities Minyan M’at and the West Side Minyan ask regular participants to pay a modest membership fee in addition to their Ansche Chesed membership dues. To join either minyan, you must be an Ansche Chesed member in good standing. No one is ever excluded for financial reasons. If Ansche Chesed or minyan dues pose a financial hardship, please speak in confidence to Ansche Chesed Executive Director Josh Hanft (JHanft@anchechesed.org, 212.865.0600 ext. 209) or to the minyan directly. Contact information for each minyan can be found below and on the Contact Us page. The fully egalitarian Sanctuary Service, the direct descendant of Ansche Chesed’s historical congregation, brings together people of all ages, Jewish backgrounds and levels of familiarity with the Conservative service who enjoy participating in a rich, diverse and joyous Jewish life. The main language of the service is Hebrew, although some prayers are recited in English. The prayer book is the Conservative movement’s Siddur Sim Shalom. The atmosphere is informal and welcoming, and dress is casual. A kiddush after services adds to the open and welcoming atmosphere and allows longstanding, new and prospective members to get to know each other. The Sanctuary Service follows the traditional Conservative liturgy. We read the Torah on the annual cycle, completing the entire Torah each year. Each Torah reading is followed by a haftarah (selection from the Prophets). Rabbi Jeremy Kalmanofsky, Hazzan Natasha Hirschhorn and Sanctuary Service participants share responsibility for leading the service, reading from the Torah (leyning) and offering a dvar Torah, a brief commentary about the week’s reading. In addition to leading many of the prayers, Hazzan Hirschhorn often initiates a niggun, or wordless melody. Singalong is an easy and pleasant way for even those unfamiliar with Hebrew or the Conservative liturgy to participate in the service. Rabbi Kalmanofsky, Hazzan Hirschhorn and many members of the Sanctuary Service are happy to tutor anyone interested in learning to lead all or part of the service and to read Torah or haftarah. Participatory: Members are encouraged to help lead services, read Torah, offer divrei Torah, etc. Lay-Led: Members rotate among leadership positions. Egalitarian: Men and women share all roles. Traditional: We use the Bokser Siddur for Shabbat and the Mahzor Lev Shalem for the High Holidays. Minyan M’at is an independent, traditional, egalitarian community within Ansche Chesed. Now more than 30 years old, our group of over 150 households comes together to davven (pray), to learn, to celebrate and to sustain each other. We strive to create a mikdash m’at, a sacred community that retains many characteristics of a small and close-knit group. We are a chevra, a group of people who want to play an ongoing role in each other’s lives. We are committed to serious engagement with text, tradition, prayer and one another. Being part of Minyan M’at simchahs (happy occasions) and sharing in their joy is truly a wonderful feeling. We are also there for each other in more difficult times. We participate in Ansche Chesed’s Chevra Kadisha, which helps prepare the dead for burial. We prepare meals for mourners, and we make sure that there are enough people for a shivah minyan, the quorum of 10 adults required to recite prayers in the homes of mourners. Through our Chevrat Deborah Chesed Committee and our free-loan society, we help people with their day-to-day needs. Our members tend to be Jewishly engaged and educated, comfortable with Hebrew (services are mostly in Hebrew) and thoughtful about the issues facing 21st century Jews. Minyan M’at grew out of a group of people who were involved in the chavurah movement and in Jewish feminism, and we maintain those feelings of participation and responsibility. We do not have paid clergy or other staff. Instead, we rely on our many members, including the three who serve on a rotating basis as our operational arm, our “troika,” to provide practical guidance and assistance with all facets of minyan life, from kiddush to Kaddish, from conceptualizing to coordinating, from Purim spiels to Pesach hospitality. One of the best parts of Minyan M’at is our email list, a true treasure that keeps us in touch with each other, be it socially or spiritually, politically or practically. Whether you are looking for a house painter in New York, an apartment in Jerusalem or a review of the latest Israeli film, our email list helps us function as a community. All members of Minyan M’at are also members of Ansche Chesed, which means we enjoy the benefits of belonging to a large, established community while retaining the intimacy of a chavurah, a participatory group where “getting involved” helps you to connect. Our members represent a variety of Jewish demographics, including families with young children, married couples with older children and single men and women of all ages. As a member of Minyan M’at you are able to participate in our email group, serve in leadership roles, vote on minyan matters, obtain tickets to the minyan’s High Holiday services, celebrate your simchah (joyous occasion) with the minyan, be listed in the minyan directory, and take advantage of the minyan’s free-loan society and other chesed services. Because Minyan M’at is run entirely by volunteers, active participation is an essential element of minyan membership. All minyan members participate in the kiddush rotation and members contribute regularly to the functioning of the minyan in accordance with their individual skills and interests. Volunteer roles include organizing and planning special events, setting up and cleaning up at events, serving on committees, leading services, reading Torah, ushering at large simchahs; being part of shivah minyanim, and providing practical assistance to members in need. We welcome the chance to find out how you might like to participate. Minyan M’at dues are $100 for each adult and $25 for each post-bar/bat mitzvah child. These dues are in addition to Ansche Chesed membership dues and you must be a synagogue member in good standing to be a member of Minyan M’at, although no one is ever excluded for financial reasons. If the synagogue or minyan dues pose a financial hardship, please speak in confidence to Ansche Chesed Executive Director, Josh Hanft (JHanft@anschechesed.org, 212.865.0600 ext. 208), or to the Minyan M’at Membership committee (Membership_Mat@anschechesed.org). For information about Ansche Chesed’s membership dues, please visit the Membership page. 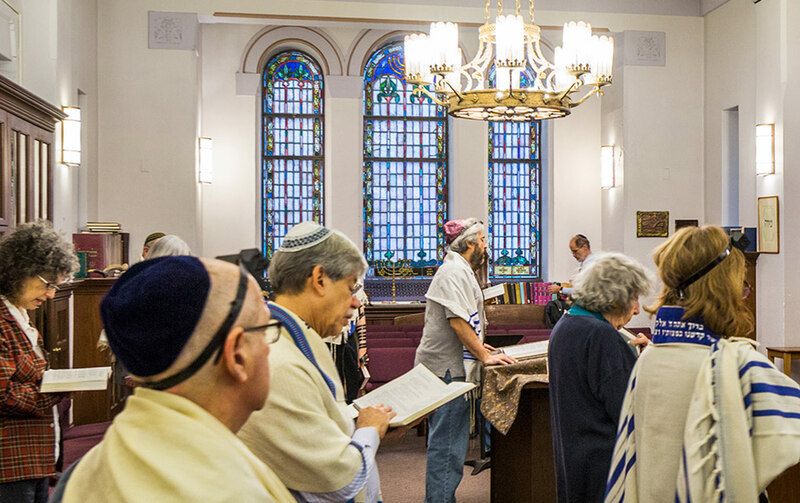 Founded in 1974, the West Side Minyan meets on the second and fourth Shabbat of each month. We are a chavurah, an egalitarian community run entirely by its members, with no paid professional leaders and open to new ideas and to change. We are an eclectic group of singles and families, the young and the old, longtime members and newcomers, people from diverse backgrounds, those who have a rich knowledge of Judaism and those just beginning to learn. Whether you dress up or down, wear a tallit (prayer shawl) or not, enjoy musaf (the service following the Torah service) or use the time to meditate, you will quickly feel at home. The minyan follows the traditional liturgy and uses the Siddur Sim Shalom prayer book, although different davvening (prayer) leaders are welcome to craft their own approaches and bring in other material. We read the Torah on a triennial cycle, which means that the traditional Shabbat Torah reading is divided into three shorter segments and the Torah is completed once every three years. Rather than having a single person deliver a dvar Torah (commentary on the week’s Torah reading), each week a different person prepares and leads a discussion about the Torah portion. The minyan is run by our members, who are encouraged to participate in whatever way they can, from leading prayers and reading Torah to bringing refreshments for kiddush. Informal groups led by knowledgeable members help people learn and improve their synagogue skills. Minyan dues, for Ansche Chesed members and for non-members respectively, are $90/$150 for individuals, $150/$250 for families, and $36/$36 for students. For information about Ansche Chesed’s membership dues, please visit the Membership page. To learn more about the West Side Minyan, contact WSMSteering@anschechesed.org or visit our website. Minyan Rimonim is a friendly, egalitarian Conservative minyan that meets on the first and third Shabbat of each month. We encourage our members to help with every aspect of the minyan, including leading the service, leyning (reading Torah) and haftarah, giving divrei Torah (thoughts on the week’s Torah portion), bringing refreshments for kiddush, greeting visitors at the door, and organizing social events. When a holiday falls on a Minyan Rimonim Shabbat, we honor the occasion by chanting the traditional reading, such as Ecclesiastes on Sukkot, the Song of Songs on Pesach, and Megillat Ruth on Shavuot. Our joint Purim service with the West Side Minyan is a popular annual event. The minyan follows the traditional liturgy, uses the Siddur Sim Shalom prayer book and reads the Torah on the annual cycle, completing the entire Torah each year. Each Torah reading is followed by a haftarah (selection from the Prophets). Minyan Rimonim has frequent social events. In the fall we have our annual Erev Shemini Atzeret dinner and Friday evening service in Riverside Park. In the winter, we celebrate Jews’ Night Out (a k a Christmas Eve), meeting for dinner followed by karaoke, a movie, bowling or pool. In the summer, we attend Jewish Heritage Night at Citifield to watch the Mets and at KeySpan Park in Coney Island to cheer the Brooklyn Cyclones. Throughout the year, we get together for Jewish-themed movie nights, walks in Central Park, and Shabbat-afternoon visits to the Jewish Museum (free on Shabbat). We pride ourselves on our friendly, egalitarian spirit; our completely lay-led service; our spirited davvening; our encouragement of members who wish to develop their davvening and leyning skills; and on our delicious kiddushes, Shabbat potluck lunches, and summer picnics! Everyone is welcome, from babies to centenarians. To learn more about Minyan Rimonim, contact Vaad5777@anschechesed.org. The Shabbat Learner’s Service offers those new to Judaism and religious services the opportunity to deepen their understanding of the Conservative liturgy and the words, music and choreography of the Shabbat service. The service is ideal for parents preparing for their children’s bar/bat mitzvah, for those considering conversion, and for anyone who wants to feel more at home in synagogue. Thanks to the very accessible Siddur Eit Ratzon, which offers not only Hebrew text and translation but also transliteration and commentary, participants do not need to know how to read Hebrew in order to participate in the service. The Learner’s Service meets on several Shabbats during the fall. Each session stands on its own, so you can come when you wish without fear of “coming in in the middle.” Check the calendar for dates. If you have questions about the Learner’s Service, which requires no additional fee, contact Rabbi Jeremy Kalmanofsky (RJK@anschechesed.org, 212.865.0600 ext. 210). A nice way to start and end Shabbat at Ansche Chesed is to do so with Rabbi Kalmanofsky at two programs that are free and open to all. Each Saturday morning at 9:15 am in the chapel (ground floor), Rabbi Kalmanofsky leads a discussion about the weekly Torah portion, looking at it through the eyes of favorite commentators, ancient, medieval and modern, midrashic, mystical and academic. On several Shabbat late afternoons each year, Rabbi Kalmanofsky hosts Minchah, Seudah Shelishit and Havdallah (minchah is the afternoon service; seudah shelishit is the third Shabbat meal, traditionally held just before sunset; and havdallah is the short ritual that marks the symbolic end of Shabbat). The group meets on the fifth floor. Check the calendar for dates and start times. They depend on when Shabbat ends during a given week. On 10 Shabbat afternoons during the cold winter months of November through March, parents can bring their possibly stir-crazy young ones to Ansche Chesed’s Shabbat Gym on the synagogue’s lower level. And it’s not just the kids who have fun while getting to know each other. Parents often form fast friendships. The annual cost for the Shabbat Gym is $195/year for members and to $260 for non-members. To learn more or to register, contact Martin Sivorinovsky (MSivorinovsky@anschechesed.org | 212.865.0600 x 216). We hope that you consider joining our spiritual and dynamic community for the holidays! High Holiday information for 2017/5779 has already been mailed out. Tickets are getting mailed out this week. You can find the schedule for High Holiday services here, and the schedule for Family Services over the holidays here. To register for childcare over the High Holidays, please download this registration form.